Ever wanted to sample the ramen that you’ve read about in Haruki Murakami’s works, or wondered what the magical dishes conjured up at the Great Hall in the Harry Potter series actually taste like? Well, thanks to two young creators, you can devour such literary delicacies in the company of fellow readers and discover more edible marvels from your favourite works of fiction. 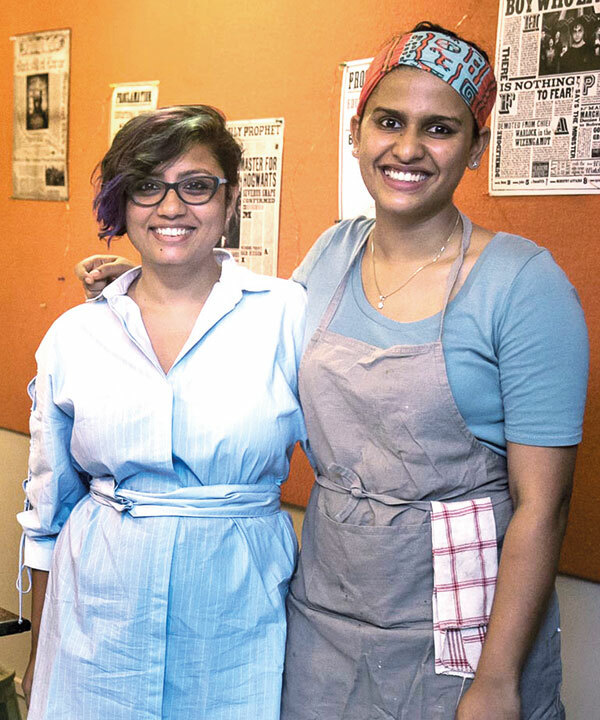 An endeavour started by Chef Shriya Shetty — who, after stints at Ellipsis in Mumbai and Gaggan in Bangkok, moved to Mangaluru to learn her ancestral cooking — and food writer and blogger Shirin Mehrotra, The Literary Table merges the two loves of many members of the culturati — food and books. 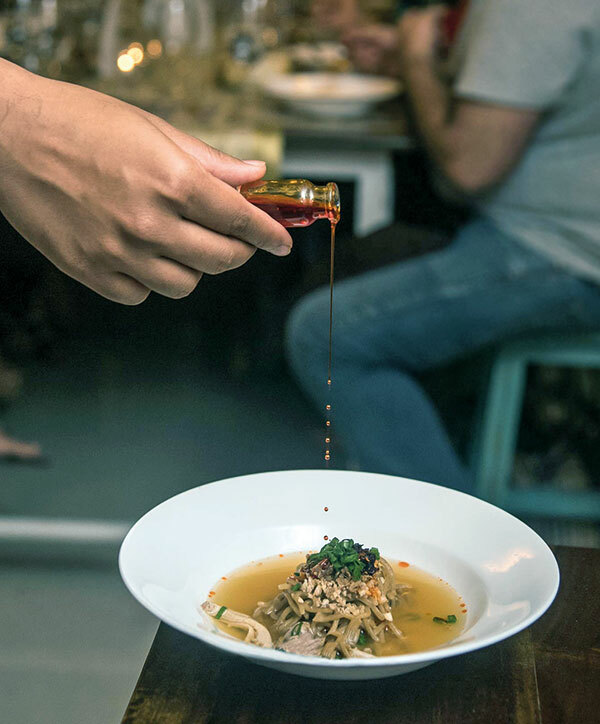 With the hope of bringing bibliophiles and gourmands in contact with one another in celebration of culture, the duo aims to host food pop-ups every two to three months in Mumbai. “On a visit to Mumbai in January, Shirin and I got talking about how I had done a Game Of Thrones-inspired 12-course dinner back in Mangaluru, and that’s when she revealed she had been sitting on an idea of doing dinners based on books since the past two years. One thing led to another, and The Literary Table was created,” says Shetty. 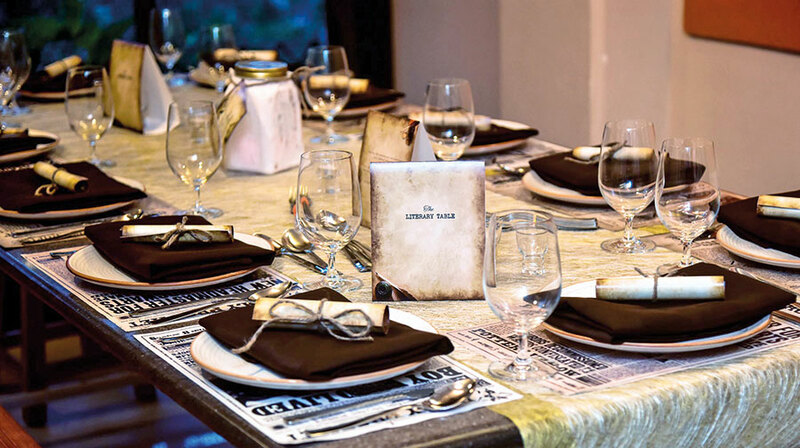 While she handles the menu design, food trials and the final execution of dishes, Mehrotra manages the rest of the planning, which includes marketing and decor. Their first edition in May was Harry Potter-themed, that saw Potterheads come out with great enthusiasm to sample dishes related to the wizarding universe. “Many people think that we serve dishes that are mentioned in the books, but that’s not how it works. 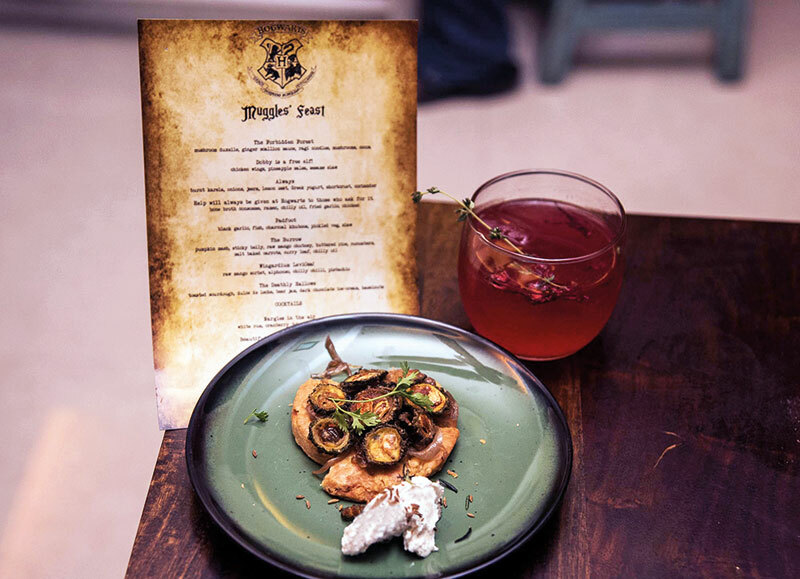 For the Harry Potter dinner, I took inspiration from the characters as well as events and created dishes based on the Deathly Hallows, Albus Dumbledore and Severus Snape,” Shetty says. Adds Mehrotra, “We had a karela tart inspired by Snape because much like the head of Slytherin house, the vegetable is a bit misunderstood. We wanted to connect the bitterness of karela to that of Snape’s life. We served it with a white rum, rosella and thyme cocktail inspired by Lily Potter. The same idea went behind the decor. We set up tables like the ones in the Great Hall, the menu was rolled up like a parchment scroll and The Daily Prophet prints were used as table mats.” And what feedback from diners of the first pop-up really stayed with them? “One comment by a diner was that they were expecting something that would be very thematic with little focus on flavours, but that was not what they experienced. The food was at par with restaurants like Masque, which is a huge compliment,” beams Shetty. Though The Literary Table is still in its nascent stages, and the founders are dealing with the initial hiccups, it’s their drive to give patrons a memorable time. “For me, the biggest challenge was to ensure everything was in sync with the menu Shriya was creating; right from cocktails to cutlery to the decor. Another challenge was cocktails — I am not an expert and so everything was trial and error. What I have realised is that people who attend such pop-ups are pretty accommodating. They understand that the hosts work with limited staff (in our case it was our awesome friends who pitched in to help) and sometimes limited space too, so they don’t crib if there’s a long gap between courses,” explains Mehrotra. 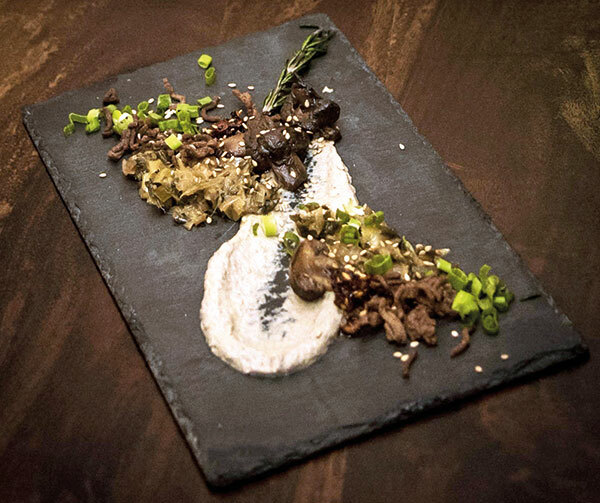 With their second edition around a Murakami theme having just taken place, the duo is now gearing up to see how their creations bring in more patrons and create more buzz among the city’s food lovers. “We tried to create the right mood and menu for it. The dishes, of course, had Japanese flavours. We planned to have live jazz music and servings of whiskey, because Murakami ran a jazz bar before he became an author. In our first pop-up, we asked the audience to write their own fan fiction. At one point, one of them picked up a book and started reading from it. None of it was planned. So we left certain things to diners this time around too. It’s fun to see how they engage as each dish unfolds. That’s one reason we don’t give away our entire menu,” she adds. Ingredients: Bitter gourds (karela) peeled and sliced, 2; Onions, thinly sliced, 4; Greek yogurt or hung curd for serving; Toasted jeera, 1 tsp; Packet of frozen puff pastry, 1; Oil for deep frying. Method: Soak the bitter gourds in a mixture of water, salt and 1 tbsp of yogurt and leave for 2 to 4 hours. Wash the soaked gourds under running water to take out the salt, and place them neatly on tea towels to dry off. Take out the puff pastry from the freezer and leave it to soften slightly. Caramelise the onions, keeping the flame on medium. Roll out the puff pastry into a thickness of 1/2 cm and using a circle cutter, cut around six circles and keep them in the freezer, without removing the circles from the sheet. Heat oil in a pan and fry the gourd in small batches for two minutes, until crisp. Immediately sprinkle some chilly powder, salt and castor sugar on top. Pre-heat the oven to 190 degrees Celsius. Take the puff pastry from the freezer and separate the pre-cut circles from the sheet, placing them on a baking sheet topped with parchment paper, and return to the freezer until oven preheats. Bake for about 12 to 15 minutes, until golden brown. To assemble, place a puff pastry on a plate, top with a generous helping of the caramelised onions, and place the fried karela in neat circles on top of the onions. Put a dollop of the Greek yogurt, sprinkle some toasted jeera, and garnish with some lemon zest and coriander leaves and serve.